Do Armenian Witness Testimonies contradict the position of the Turkish Government? No, the Armenian Genocide thesis is an idea promoted by Armenian Genocide scholars who are mostly of Armenian descent. Armenian eye-witness accounts provide gruesome details of Kurdish and other Muslim raiders who attacked Armenian convoys or villages. The motives and intention of these raiders cannot be determined by the Armenian eye-witness accounts. 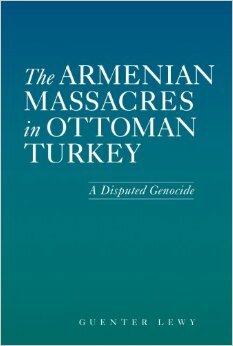 Therefore, eye-witness accounts are not reliable to conclude whether there was a plan of genocide against Armenians. It can shed light into who was doing the killing but cannot determine if it was part of a bigger event. Some eye-witness accounts cannot accurately pin-point the perpetrators of such crimes. Most eye-witness accounts of Armenians report Kurdish marauders or other ethnic locals who were looking to take advantage of Armenians or seek revenge against the Dashnaks. The Turkish government does not deny the deaths suffered by Armenians and it does not reject witness testimony of Armenians. However, it defends that the deaths were part of local ethnic tensions not genocide.